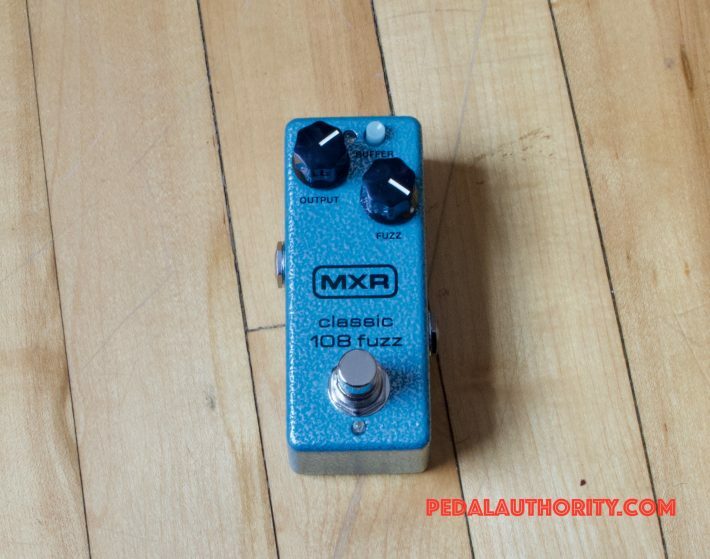 New from the NAMM show, we have the MXR Classic 108 Fuzz Mini. This pedal is basically an updated version of the old Fuzzface (silicone version) pedal, and appropriately enough contains the time honored silicone BC-108 transistor, and features the instantly recognizable turquoise hammertone finish. Although the Classic 108 Fuzz is designed to get you those sweet, vintage tones, it comes with a few updates to make your life significantly easier. 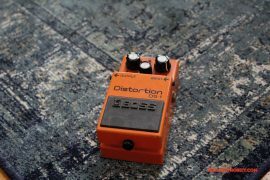 The first of these is the option to engage a buffer, which makes the pedal a whole lot more friendly than its older counterparts like the old Dallas Arbiter, and even Dunlop Fuzzfaces. Typically with a Fuzzface, the only way to get it to behave with the other pedals is to put it at the front of your signal chain. By doing that however, you lose out on possibilities for tonal variation that you would otherwise have. This quirk becomes particularly troublesome when a wah pedal is involved. People commonly like to place wah pedals first in their chain, so that the wah effect acts only on the pure guitar signal, but do this with an old Fuzzface and you are setting yourself up for some signal oscillation and high end roll off. 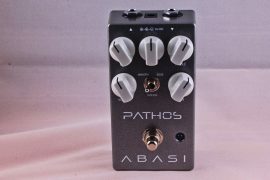 Now, sometimes this sound (the sound of your fuzz pedal freaking out) might be what you want, or perhaps you don’t use a wah pedal and you do not want to sacrifice the clarity of true bypass. With the MXR Classic 108 Fuzz, you can have it both ways, thanks to the inclusion of a buffer switch that sits directly on the face of the pedal. Even better, the switch has its own blue LED to let you know whether or not the buffer is on. No messing with switches inside the pedal, or fishing around for a screw driver to make the change. Just tap the switch and you’re good to go. Though it may seem simple, this level of versatility, especially with a vintage voiced pedal, is both useful, and a relatively new trend. It is nice to see a large, corporate manufacturer such as Dunlop embrace this level of tweakability and versatility with their products. 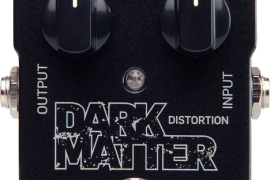 Another feature that brings this fuzz unit into the modern age is the power jack, situated at the top of the pedal. With the old Fuzzfaces, you either had to keep a few spare 9V batteries on hand, or you had to get a 9V battery style adapter for your power supply. Due to its size, the MXR Classic 108 Fuzz actually doesn’t even have the option of taking a battery (though, the full size version does), which seems to be the price you pay for an ultra compact pedal. This shouldn’t be too much of an issue for most folks though; these days people tend to use either AC or a power supply to juice their rigs. The MXR Classic 108 Fuzz performs exactly how it should. If you have ever used a silicone diode Fuzzface, you know what to expect here. If you have not used a silicone diode Fuzzface, what you can expect is lots of vintage fuzz. 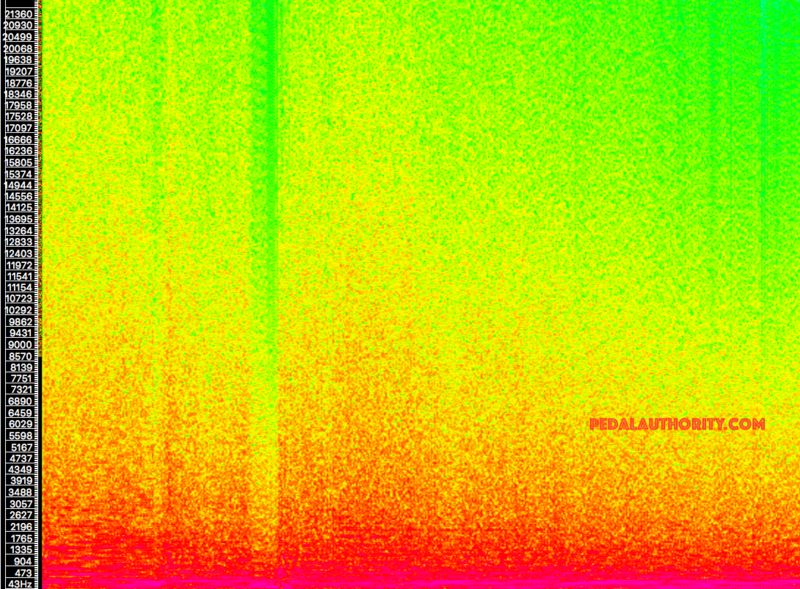 This is different than overdrive or distortion, mind you. 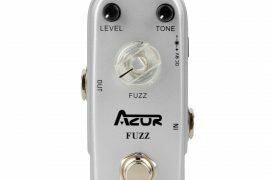 The fuzz sound is what some would describe as a “blanket” effect, meaning that it kind of sits on top of your guitar sound. Turn the fuzz knob down, and you get a more mellow fuzz, kind of like an old amp starting to break up. The tone is bass-heavy and thick. As you turn the fuzz knob up, you will start to get more sustain, and more of those rich overtones, perfect for psychedelic leads. A common approach to the fuzz control is to turn it all the way up, and then roll it back just enough that the sizzle and hiss goes away, so that you are left with thick, rich sustain. In general, fuzz is an effect that I would consider to be more of an uncontrolled effect, meaning that it does not have the tightness or precision of something more modern. However, herein lies the nature and beauty of fuzz. The pedal sag on the low end, the wool-like thickness of the mids, and the brassy grit of the highs are all what gives a fuzz pedal its identity. It is the type of effect that truly has a vintage sound, in that there is something kind of wild and unpredictable about it that lends itself nicely to psychedelia, classic rock, and some styles of British blues. I like to think of the lead tones that a fuzz pedal generates as similar to a saxophone: clear and singing, with a layer of reediness and brassiness spread on top. 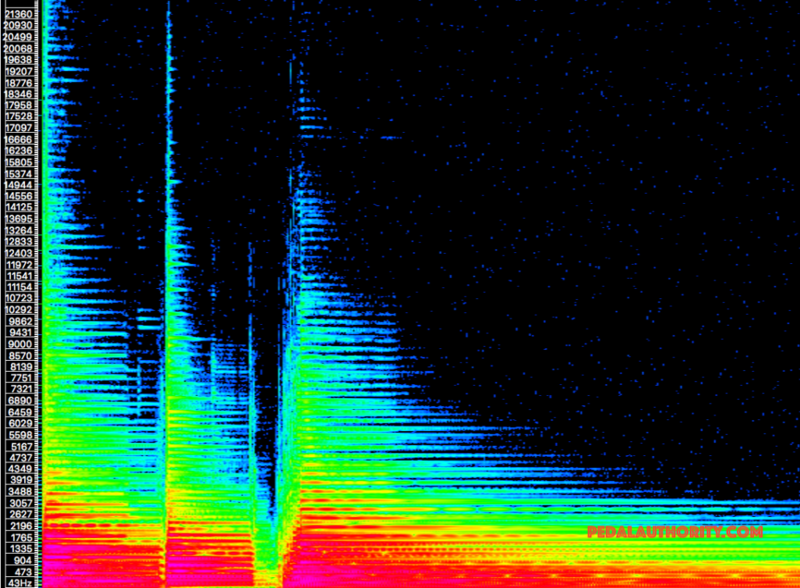 Some signal loss but no frequency gouging. 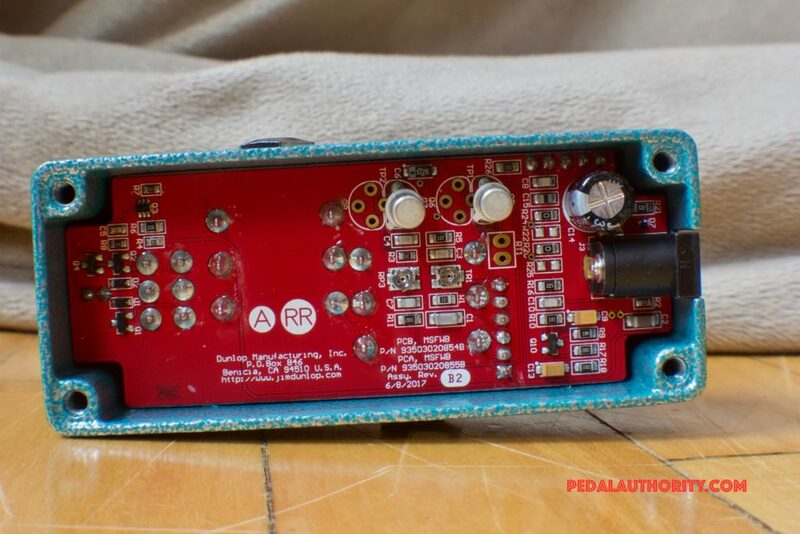 Basically what you would expect from a mass produced true bypass pedal. Some signal loss in the upper frequencies, however the characteristic guitar frequencies remain relatively untouched. This actually functions almost like an EQ, as it “focuses” the guitar signal by getting rid of some of the higher partials. 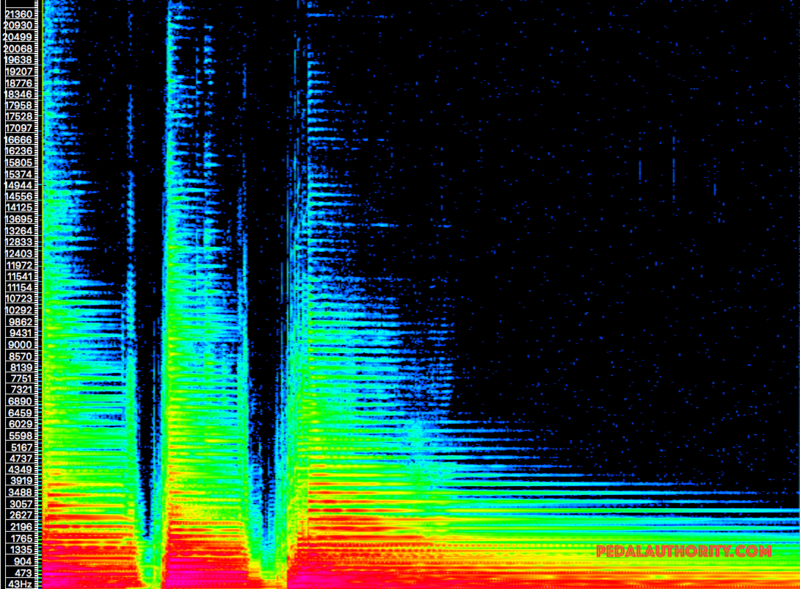 This is what some people refer to as the “color” of a pedal’s bypass. Lots of saturation across the board here, but notice that the intensity is not not equally distributed, as the pedal prioritizes the upper mids and highs. 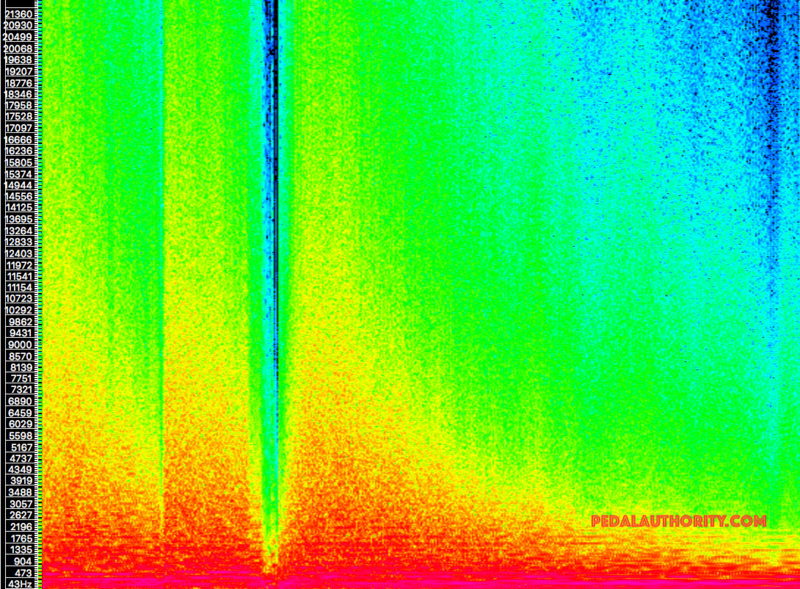 This is the “fuzz blanket” at work: much of the graininess associated with fuzz tones is the result of a greater concentration of energy in the upper frequencies. One of the advantages of the buffered signal is on display here. Notice that the relative distribution of energy is more equally spread than the non buffered example, and that as a result, more of the characteristic frequency range of the guitar is going to be clearly heard. 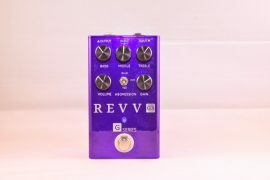 This is similar to the effect that some players try to achieve by pairing their fuzz pedal with an overdrive; it kind of tames the extreme inclinations of the fuzz circuit, and makes the pedal more usable in more contexts. This is neither bad nor good, just another option that is available to you, depending on how you want to use your fuzz pedal. Typically we analyze distortion/overdrive/fuzz pedals at neutral settings for reasons listed below. However, given the common practice to crank Fuzzface style fuzz units all the way up, we wanted to provide you with an image for that as well. 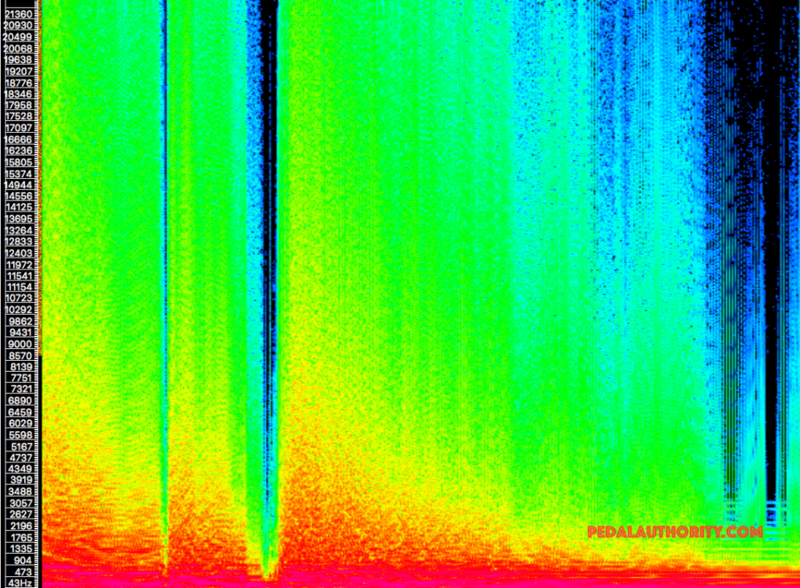 Just for fun, compare this and the following image to the spectrograph from our ProCo RAT2 review and you will see why people tend to debate whether the RAT pedal is more of a distortion or a fuzz. 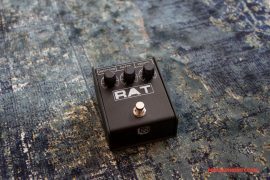 Of course, what one chooses to call it has no effect on the pedal’s tone, but you can see here that in a pinch the RAT can get you pretty close to the sound of a vintage fuzz. 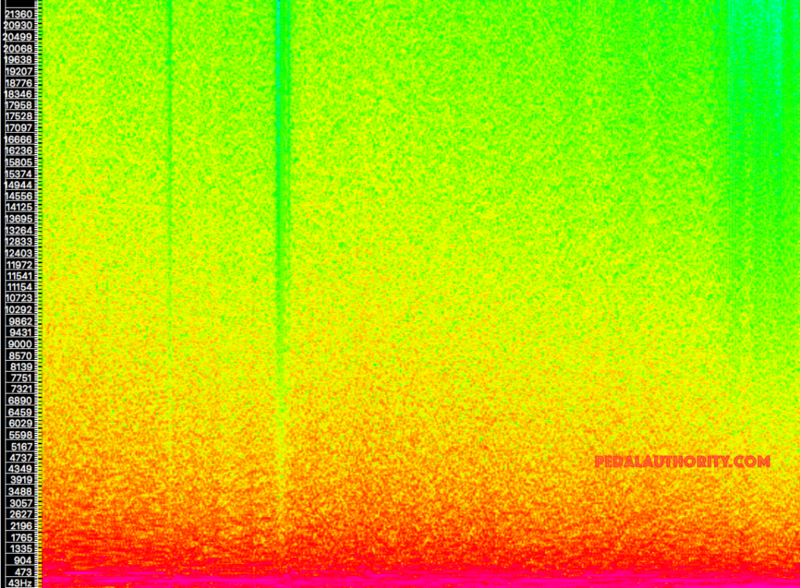 Slightly more even frequency distribution, as to be expected from the buffer. 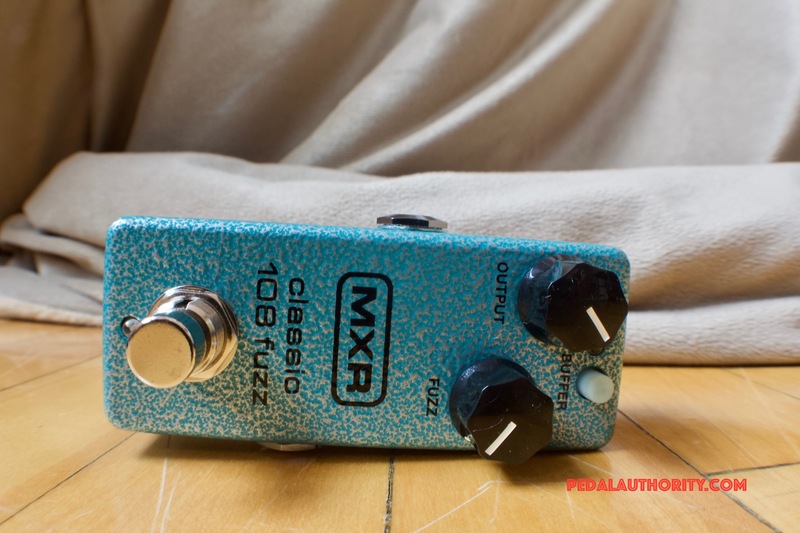 Those of you looking for the classic Fuzzface sound without the Fuzzface hassle should consider checking out the MXR Classic 108 Fuzz Mini. It sounds like a vintage pedal, while behaving like a modern one. 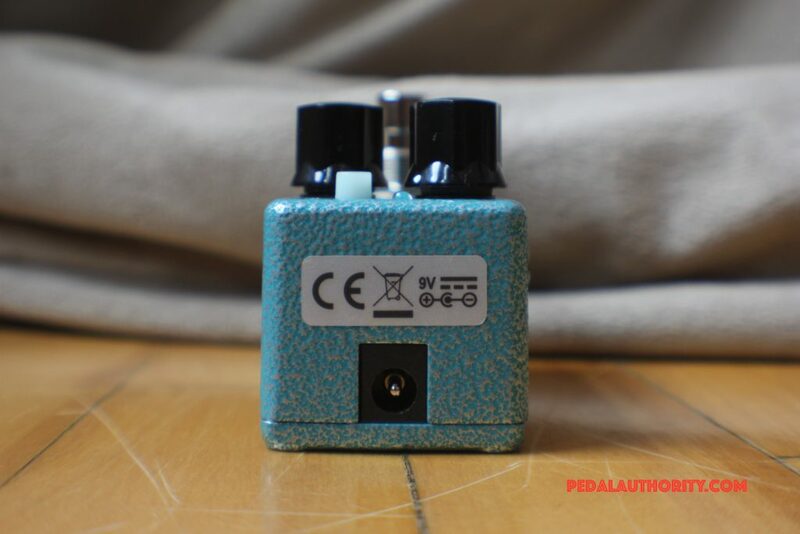 Buffering options, two bright blue LED indicators, an easy access power outlet, and the classic turquoise finish round out this humbucker-sized pedal. MXR even includes the power adapter, so you can play it right out of the box. Plus, its available at a fraction of the cost of many similar boutique options, so you haven’t got much to lose.